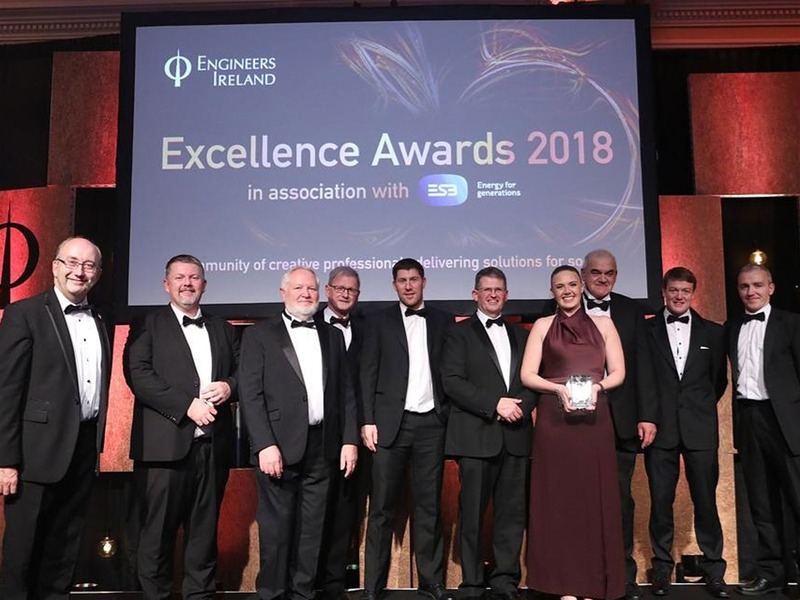 McMonagle Stone is delighted to share that ACP (Architectural Conservation Professionals), Tobin Consulting Engineers and Duane Construction picked up a well deserved Heritage & Conservation Award at the 2018 Engineers Ireland Excellence Awards on Friday, 9th November. Sponsored by the Office of Public Works, the accolade was awarded for the excellent work carried out on the Aran Sweater Market project in Galway city from August 2017 to July 2018. Derelict for over 10 years, the building lay in ruin untill the owner of the Aran Sweater Market purchased and planned to restore the building within a commercial outlet. In collaboration with Galway City Council, National Monuments Service and the Department of Culture Heritage and Gaeltacht, the ACP project team set about researching and preparing a design that would carefully return the building (Part Medieval / Part 19th Century) to its original condition. 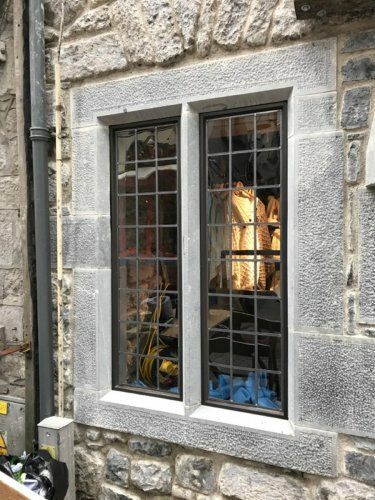 In partnership with the project team, McMonagle Stone's talented workshop played a vital role in the restoration by recreating the architecturally cut Irish Blue Limestone Window and Door Surrounds typical to that of the original surrounds. The oirginal stonework was extremely damaged and to mimic the technique used by stone masons of the 13th Century required great skill and attention to detail. Restoration projects are close to McMonagle Stone's heart and with an already impressive project portfolio for restoration and conservation projects we were delighted to be chosen as the Natural Stone Supplier for the Aran Sweather Market project in Galway city.